Tiani X. Coleman of New Hampshire Independent Voters got a question on the floor of a recent Town Hall meeting with presidential candidate Andrew Yang. And at Rev. 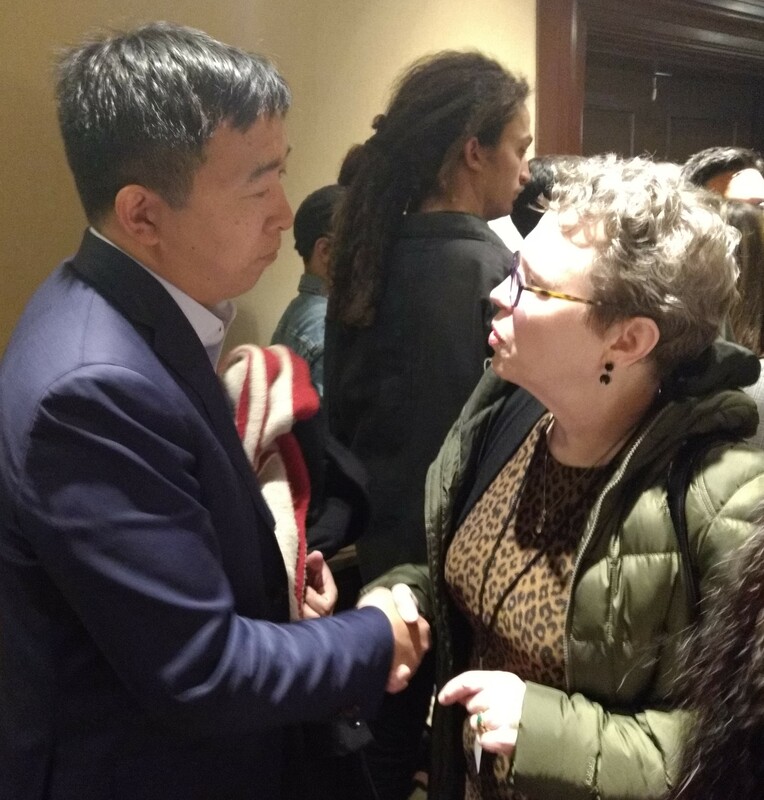 Sharpton’s National Action Network conference in New York City, Cathy Stewart, IndependentVoting’s Vice President of National Development, spoke with Yang and asked to meet with him to talk about opening the primaries to independents in the 2020 presidential. Yang agreed.